It took us a little while. 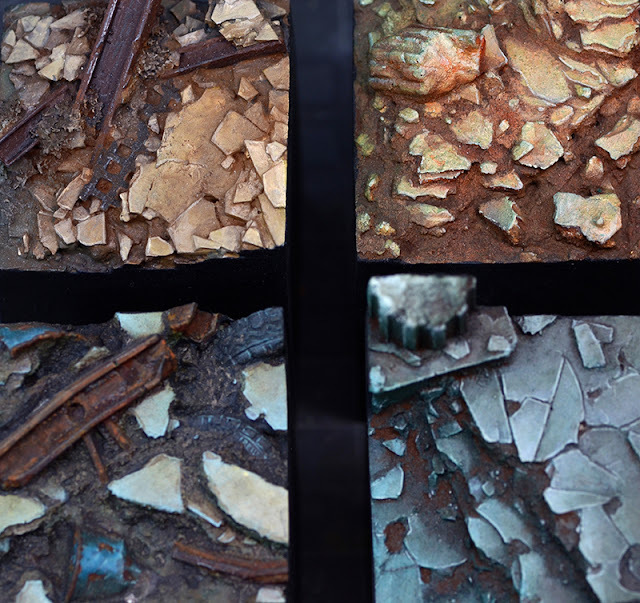 MV INSTA-BASES ARE NOW ON SALE! 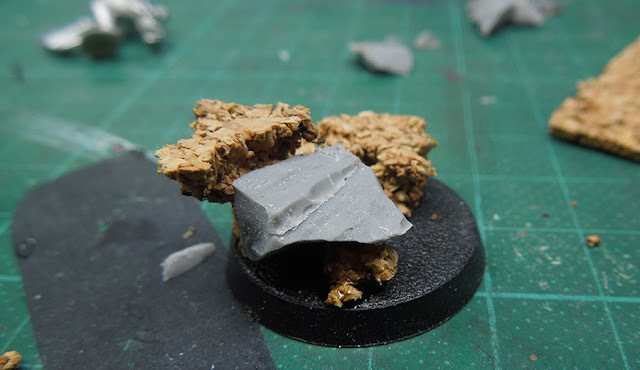 Thanks to the collaberation with Secret Weapon Miniatures - one of the finest company in the industry of tabletop equipment - we are proud to present to you the MV Insta-bases! 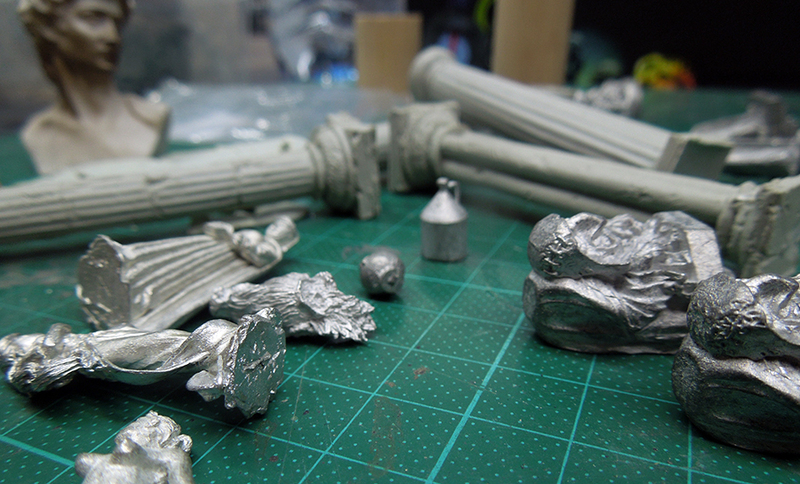 These 40mm resin bases are in-stock, and shipping now -- AND they're part of our extended Blackest Friday sale, which means they're also 25% off for the launch! 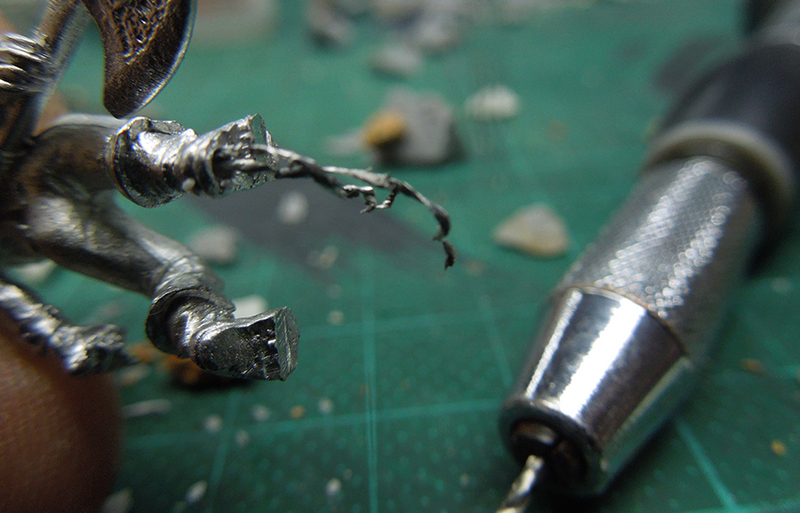 With this offer they make the perfect Christmas present for every miniature painter! 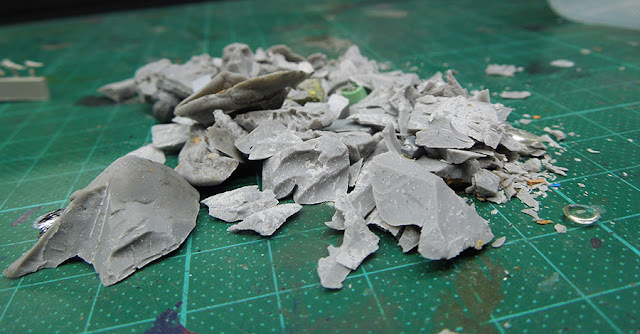 are 40mm base toppers that can be used for gaming bases or display plinths. 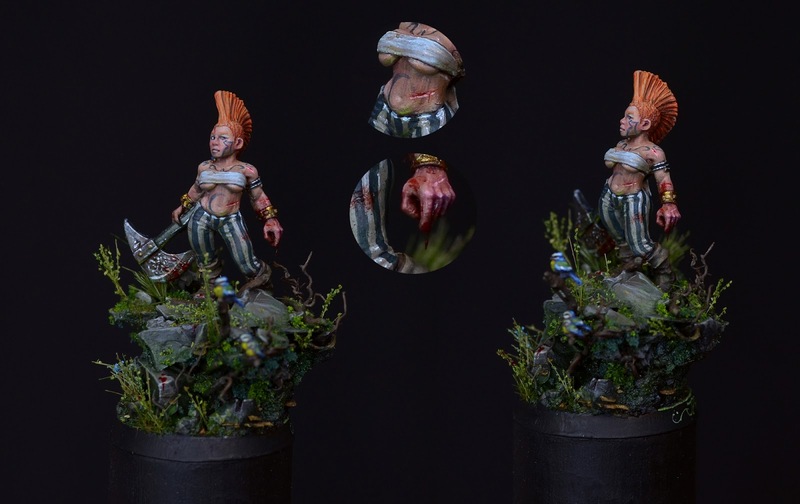 They offer a quick option to have a great base and with paintwork and/or a little additional work they can vary so much in their unique look. You can read a lot more about them in the next couple of days! 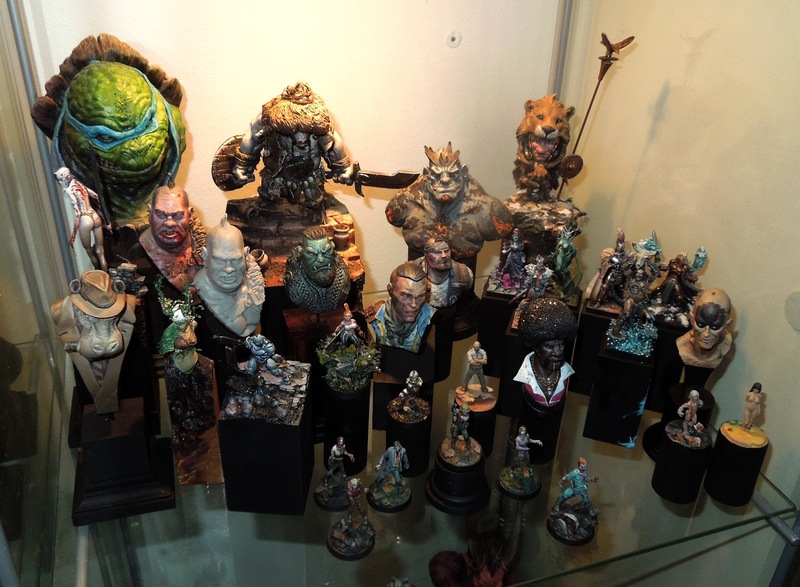 Roman and Raffa sculpted four different styles, but for you they offer millions of stories to tell! 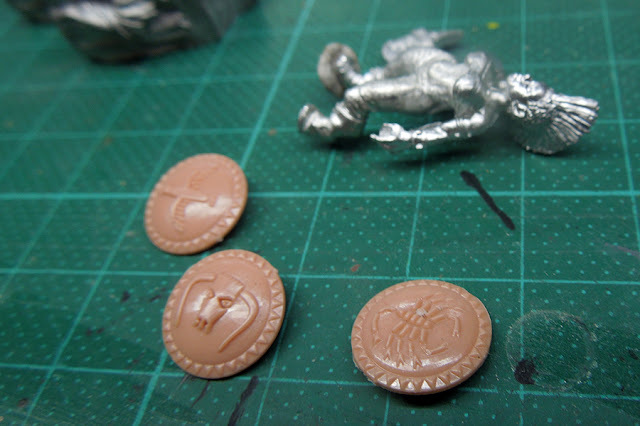 Stay tuned and get your MV Insta-Bases at Secret Weapon Miniatures! 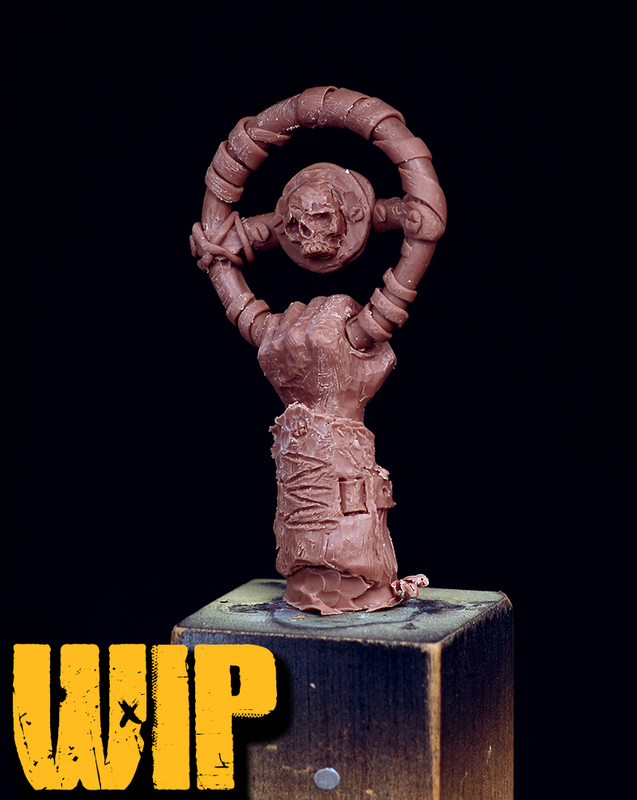 the Massive Voodoo Insta-Bases -- resin plinth toppers for display models! 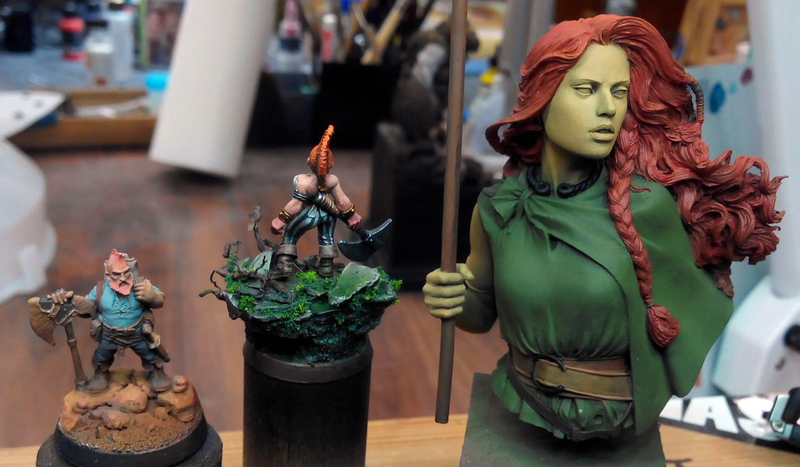 Stay tuned for the first tutorials here on your jungle blog! time for another article out of the voodoo caves. 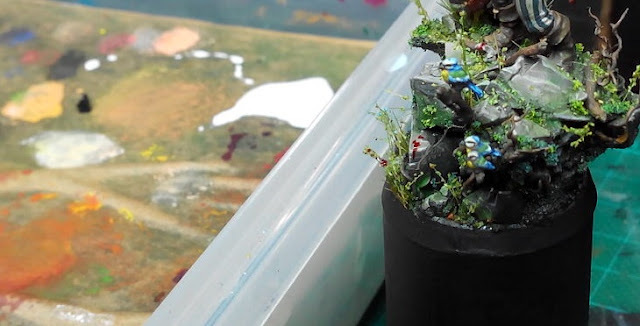 This time Roman takes you on a journey through one of his recent base build ups. Well, let's go - this time rather quick without further blablubb. I go through that base build up with my thoughts I actually made while building it up. In the order of my actual thoughts. Bam! Bam! 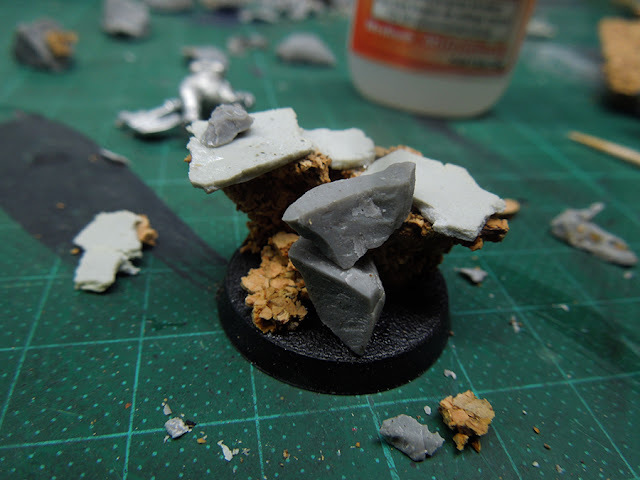 Back a little while I did some flags or whatsoever out of Magic Sculp and this stuff is of course rather hard right now, but I decided to maybe use it as I like it structure on the edges. You can do even do a cloak in the wind, like Mati explains here. These are remains from baked BeesPutty I recieved while I finished sculpting up my Ogre Bust. I like to use it for stones once in a while. If you break it you get interesting and cool shapes. I prepared some small animals I might use. They are from MiniSocles and are just wonderful. 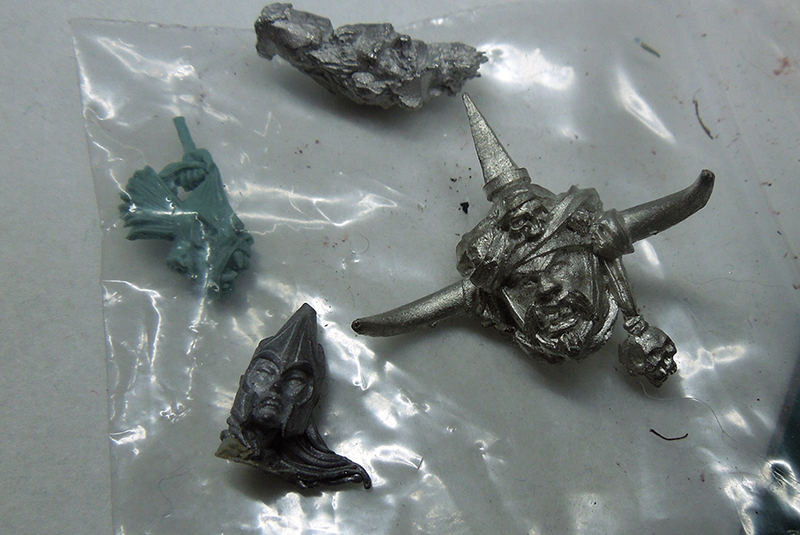 While preparing all that stuff I found some heads I will never use for models. I collect them and put them to my big collection of heads to write the greatest article about painting different faces in the future. One day, maybe. Skulls. 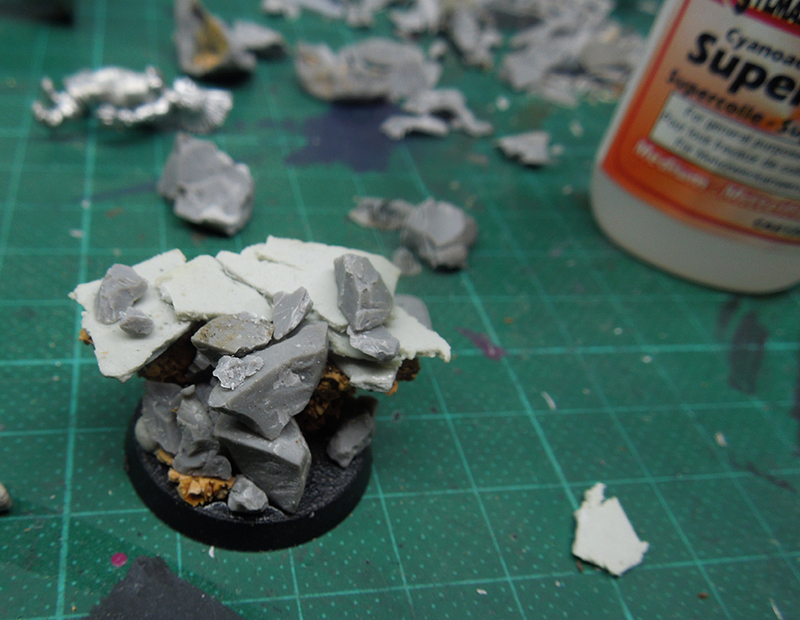 I am not the biggest fan of too much skulls on a base, but once in a while one is fine. 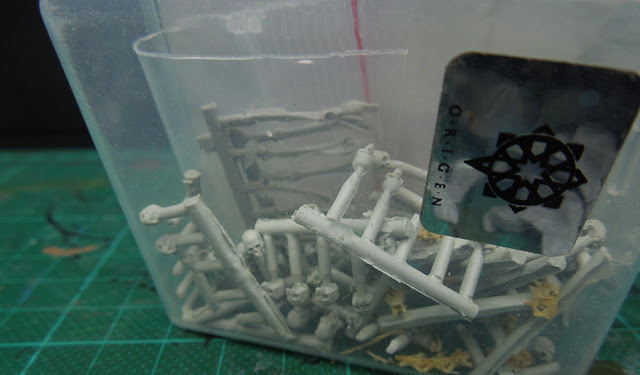 For 28 mm projects I love the skulls from Origen Art. 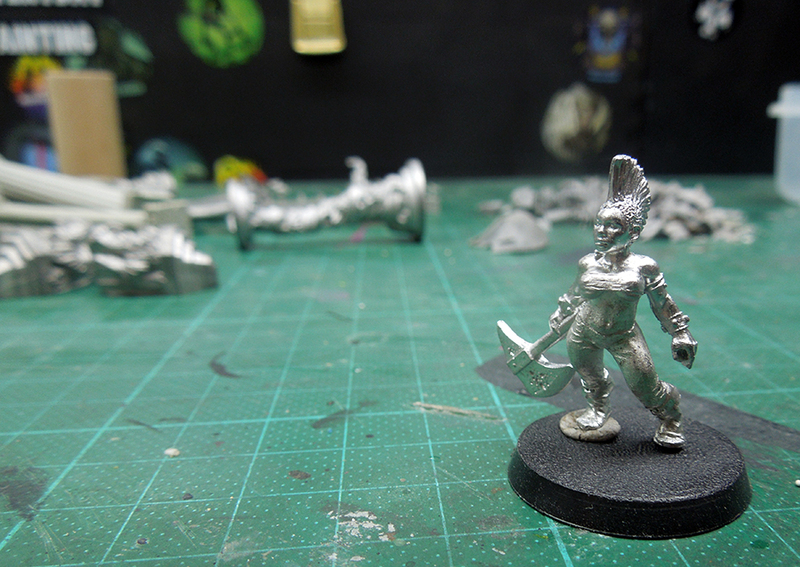 Even found 1:72 scaled Spartan shields and had a quick thought of making one to a dwarf shield, but well she looks more like a slayer and slayers do not use shields. They seek glory in death, no shield needed here. 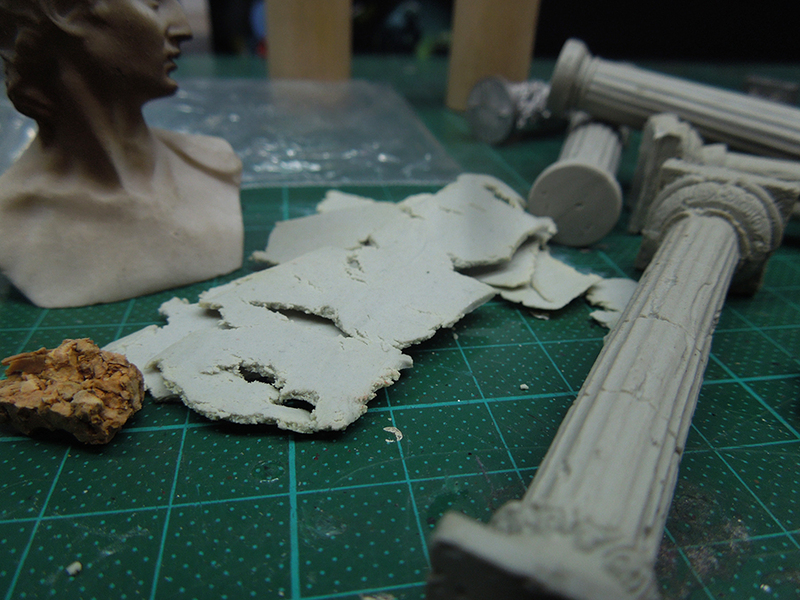 Some statue and column stuff. You can use all kind of models as statues. 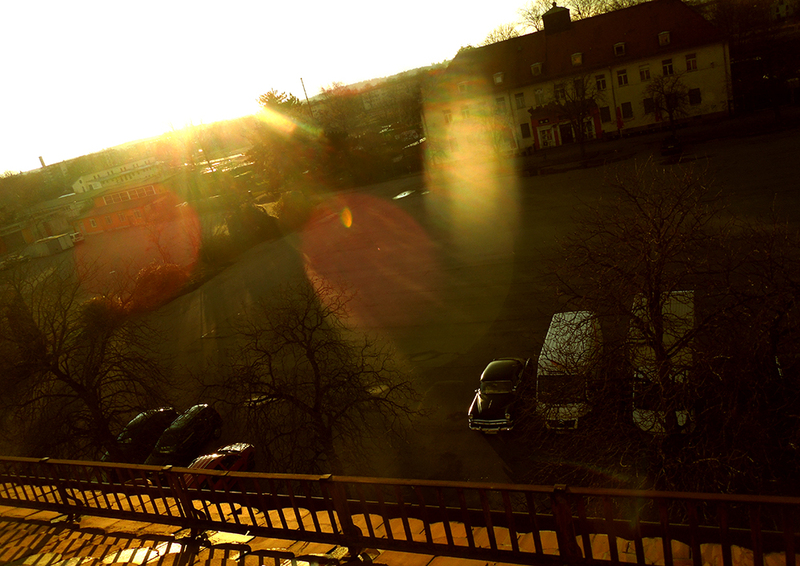 I want to start. Superglue, cork and off we go ... let's see where this will lead me. That piece of BeeSputty was too big, removed in an instant. Bam! Bam! 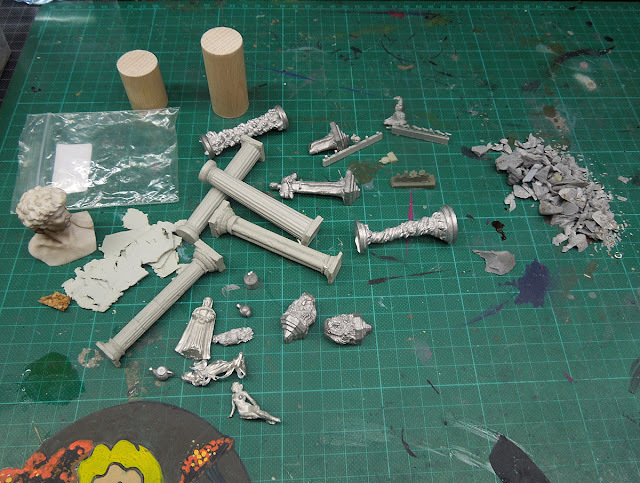 Bigger parts, medium parts, smaller parts. Bam! Bam! Superglue! I did not go to any statues or columns yet, but realized I was missing roots. 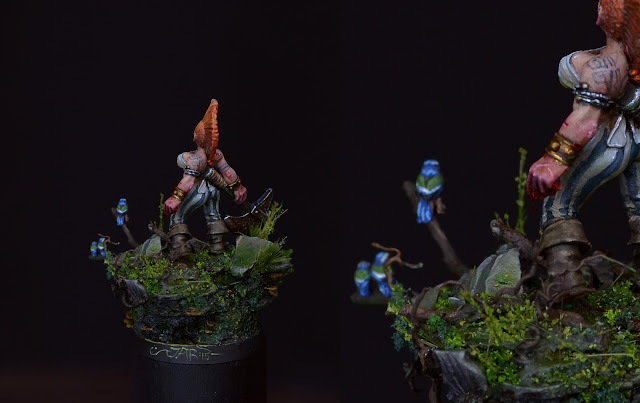 And I wanted to see the miniature on the base too. So I pinned her with a drill. I placed some roots here and there. Superglue for the win. 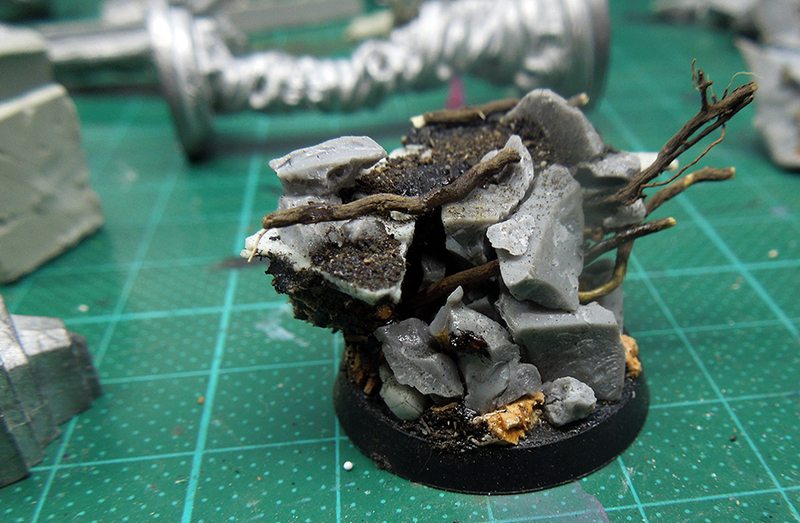 I also added some soil instead of sand. Just a little bit. A skull was placed too, but very hidden, can you find it? 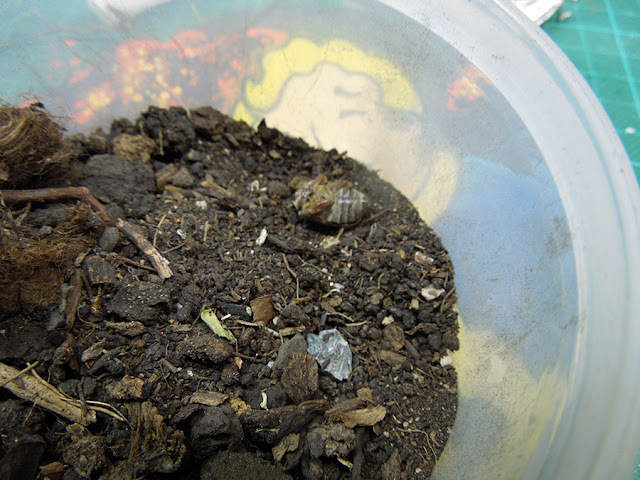 Strange moment I had while getting the soil out of my soil box: There was a dead bug without a head. As I do never kill I have no idea what happened here. Even more strange. It is the soil box I also use at my classes. So I was really corious what my students might have thought while finding this strange body. 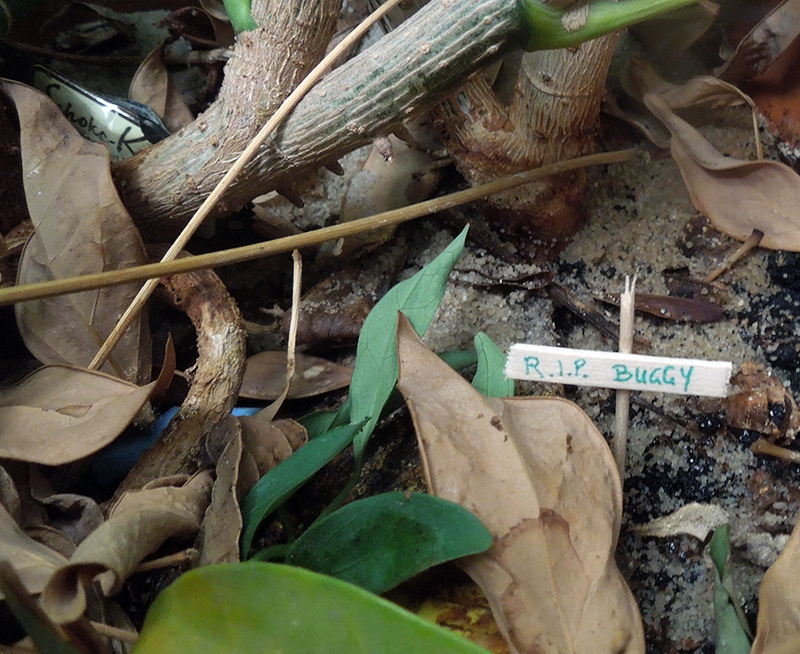 As we have a studio plant now I decided to bury him. No prayer to any god was spoken, but a moment of silence was held. 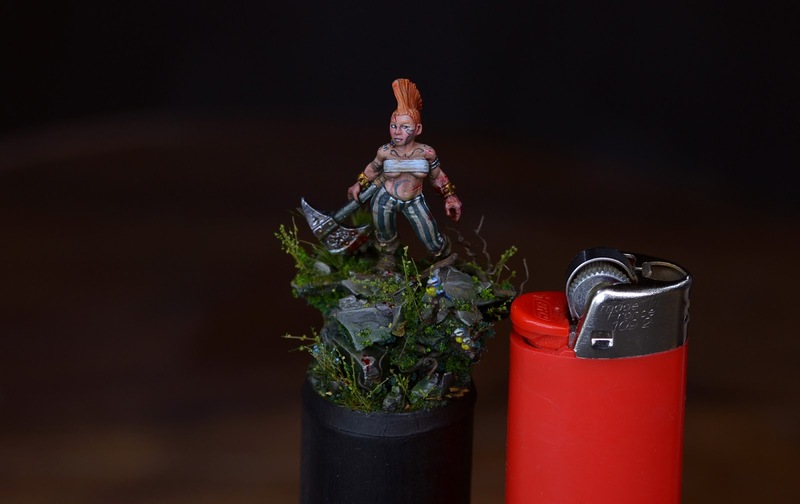 As the female Slayer was not cleaned up yet, I prepared her this way. 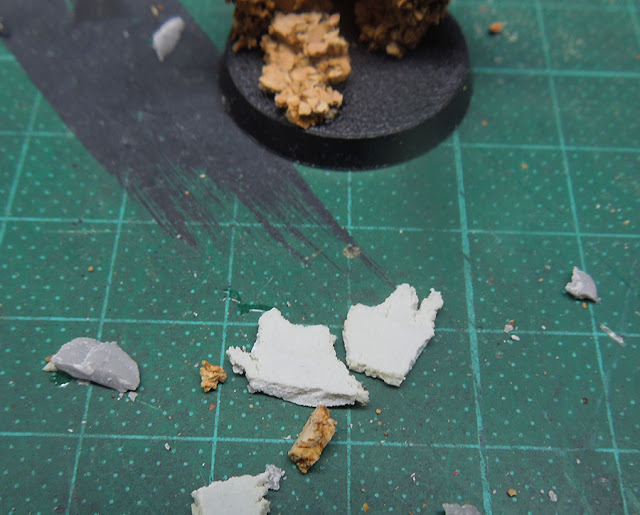 I drilled the base and checkded back with the pin. In the end I glued three little birds to the base as a homage to Bob Marley. This is my message to youhhooouuuu! 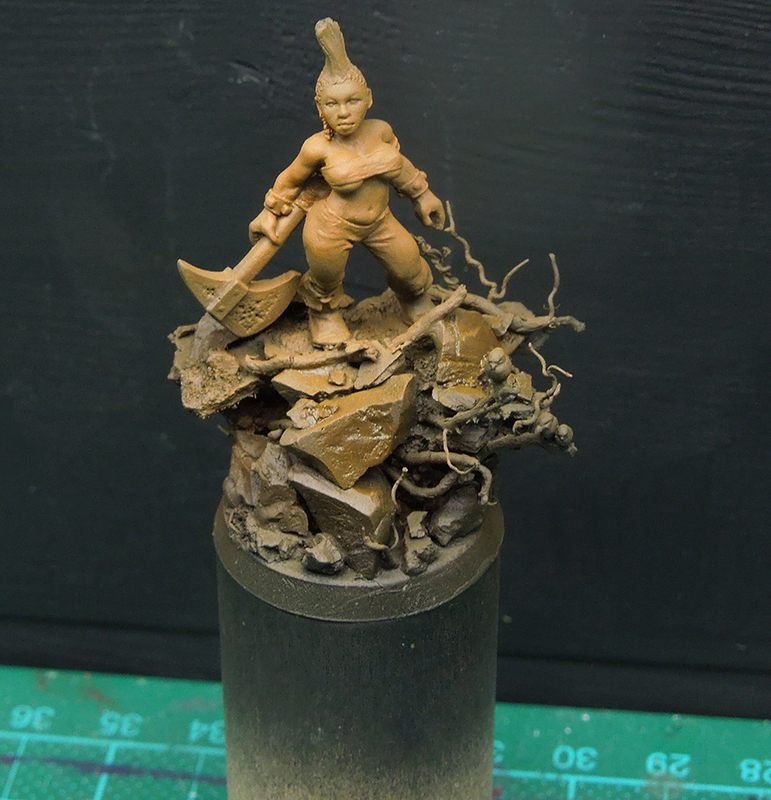 After priming her black with the GW can, I started to prime her with the Airbrush and then went over to brushwork. Well, but that is no concern when we speak about the base here. Well I prepared way too much stuff that I did not need in the end. I put it away again and put in the boxes. Sometimes it's like that. I planned to have the base rather green in the end so a lot of nature stuff will happen there. Superglue rules and I need too much of it all the time. 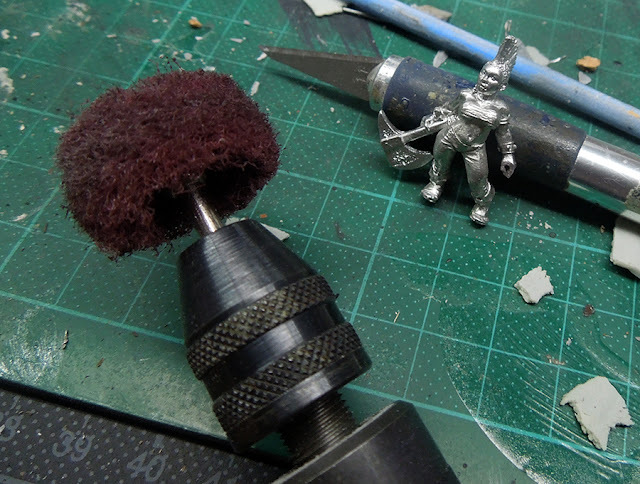 Soon you will see the finished paintjob on this model. 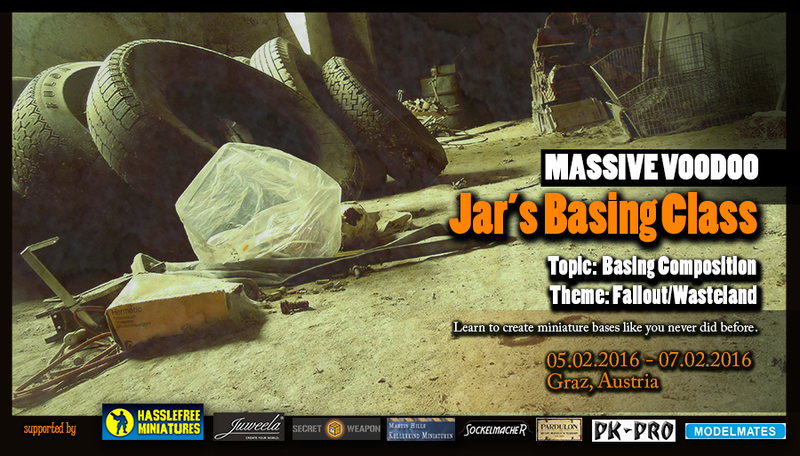 This is actually the model that will be painted on my first of MV's Jar's Advanced class, happening in February in Graz, Austria. More about this soon. Hasslefree is supporting this class and the model we paint up changes from class to class. Really cool, eh? If you want to read more basing articles follow this link!